Well worn vintage steel frame racer. 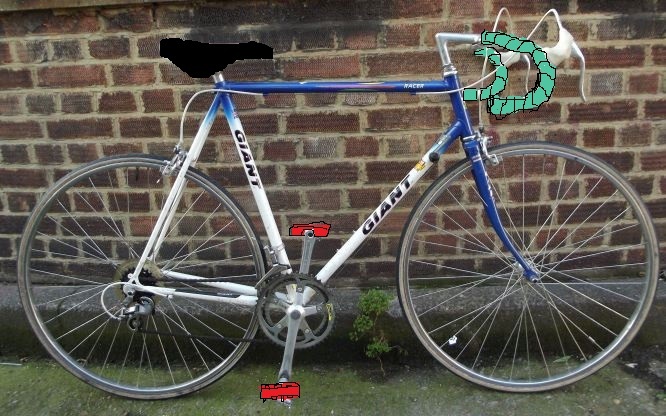 With odd vintage wheel frames, gatorskin tyres, pale green bar tape and red BMX pedals. Original white brake cable covers. Black Em3 saddle. Went missing from St Paul's area along Bond St Early hours of Sunday. Locked with helmet. This bike is in serious need of a service and brake change so hopefully who ever took it quickly realised it was not such a 'steal' and dumped somewhere. I've searched the area extensively on foot.